Great photo there from the boss! My name is Martin. Though it would probably be easier if I changed it to Matt, as there's two of them and only one of me. 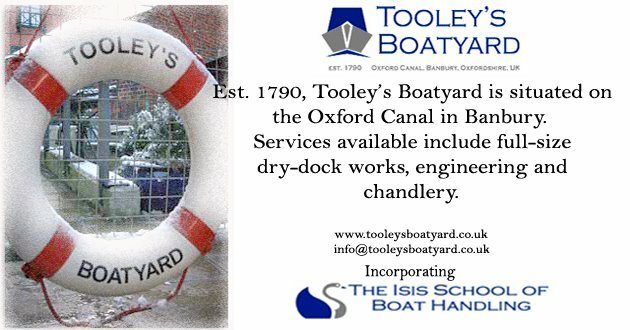 I've been working at the wonderful Tooley's boatyard since March 2007, having moved from Bath thanks to the good lady wishing to be closer to family (looking back, it was a great big plan, as we now have a baby boy). 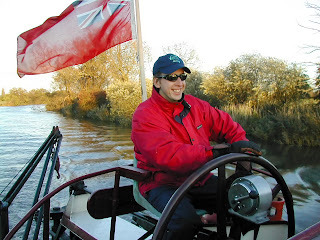 I've been involved in boating since 1999, when I became licensed as a passenger-boat skipper on the Thames. Since then I've skippered 300-tonne 'Dutch' barges in both England and France, also obtaining the French equivalent of the MCA Boatmasters (the written exam taken, of course, in French - now THAT was a learning curve), as well as operating a 'wide-beam' passenger boat on the Kennet & Avon canal. I'm also a registered RYA Inland Helmsman Instructor, running as Chief Instructor the 'Isis School Of Boat Handling' here at Tooley's. Along the way, my travels and work have now led me to be (here at Tooley's), dare I say, remarkably competent at boat painting, a role I've taken on since November last year following proven success painting all sorts of boats and barges. Alongside that, there's also some mechanical expertise, as well as marketing, IT (who DO you think dragged Matt A screaming into the 21st Century?!) and a firm belief in the future of Tooley's as THE boatyard for your works. So, I suppose it's over to the other Matt now, 'M'. (Very Bond). In the meantime, I look forward to meeting any/all of you. And remember, if I don't look so happy, it's mainly down to the way my face falls.